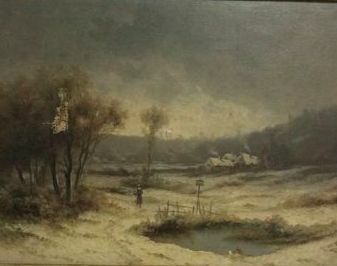 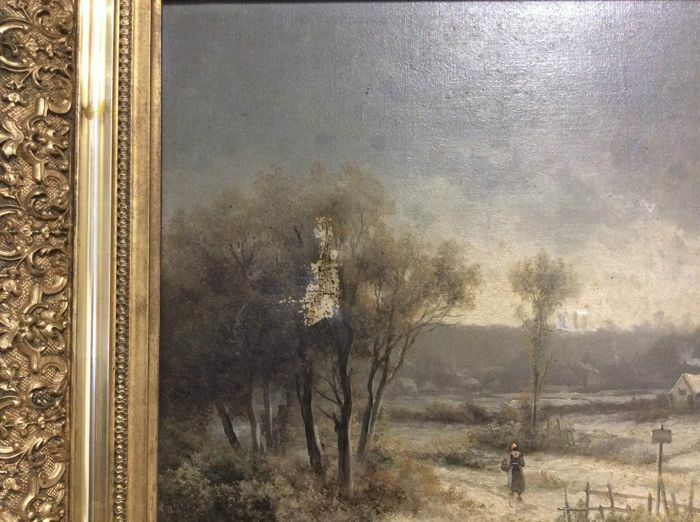 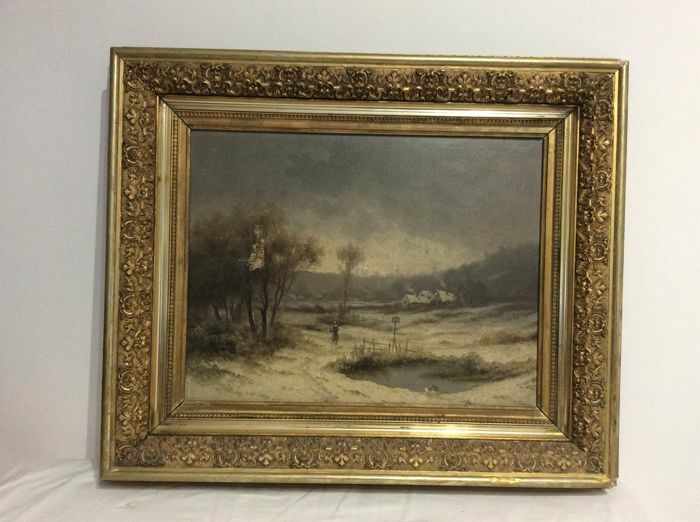 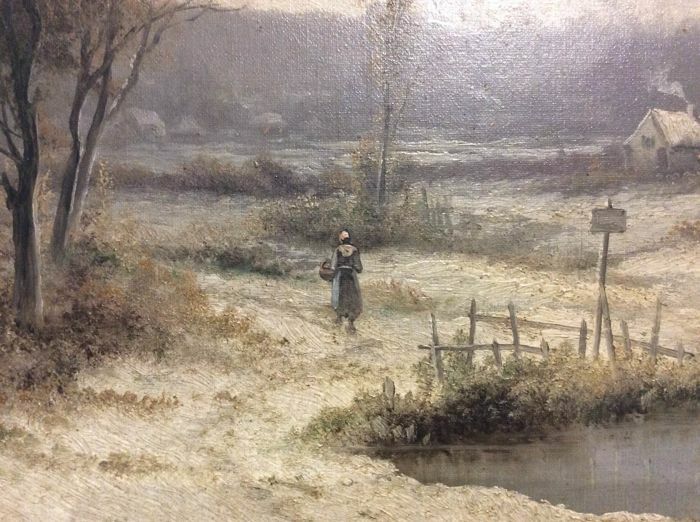 Old painting from the 19th century. 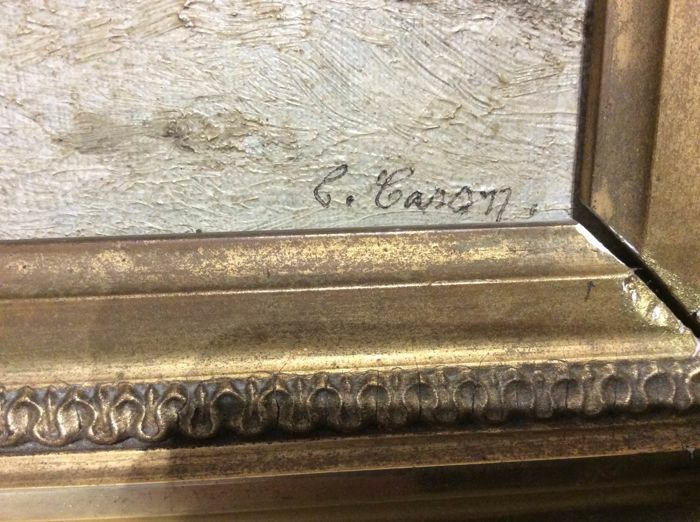 Oil painting on canvas signed at the bottom right-hand corner by painter CARON. 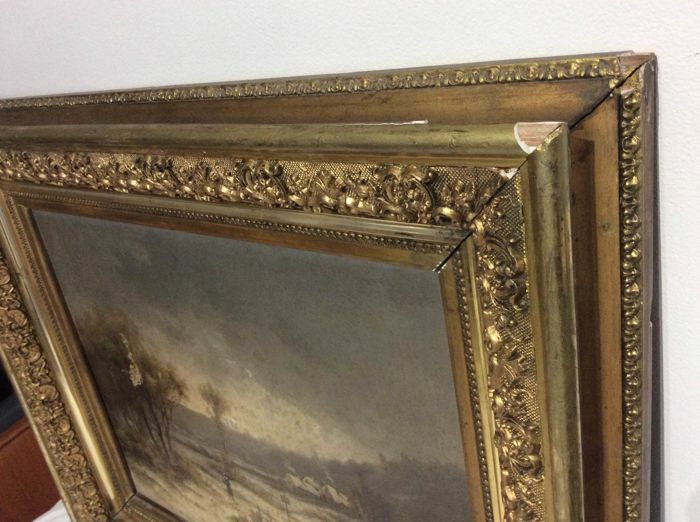 Please note there is a tear on the canvas and some missing pieces in the decoration. 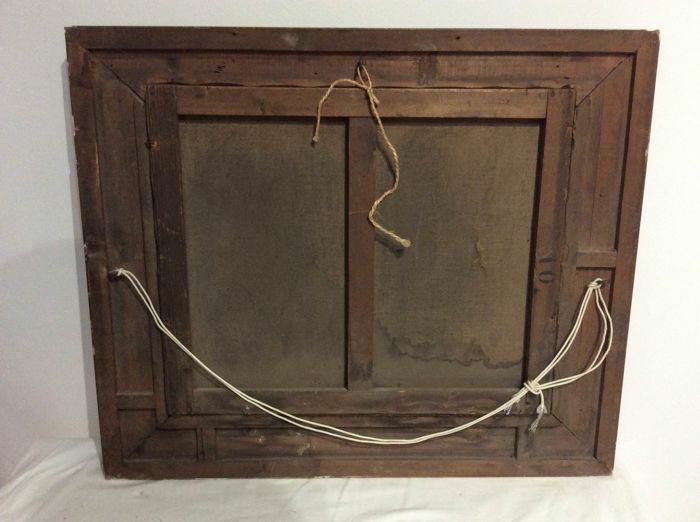 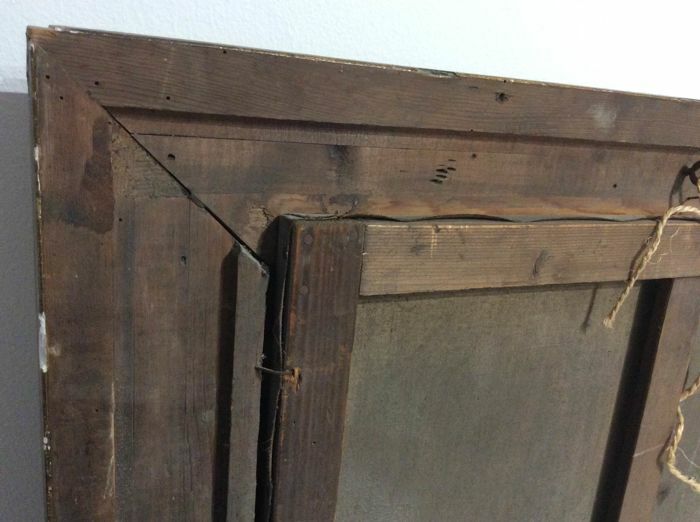 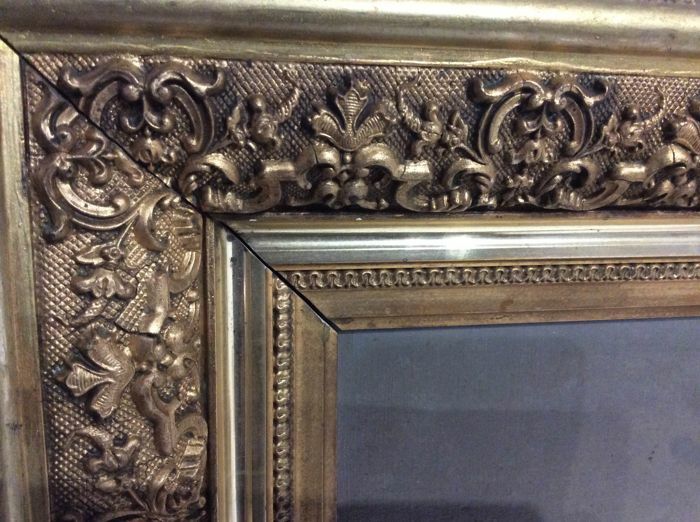 of the frame (details on the pictures). 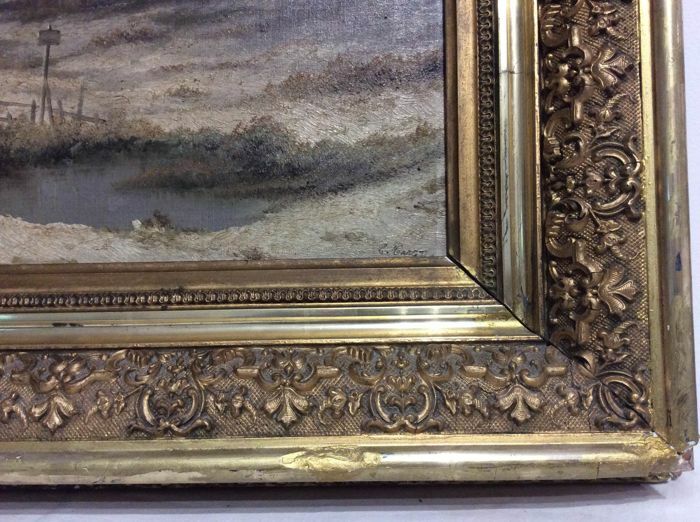 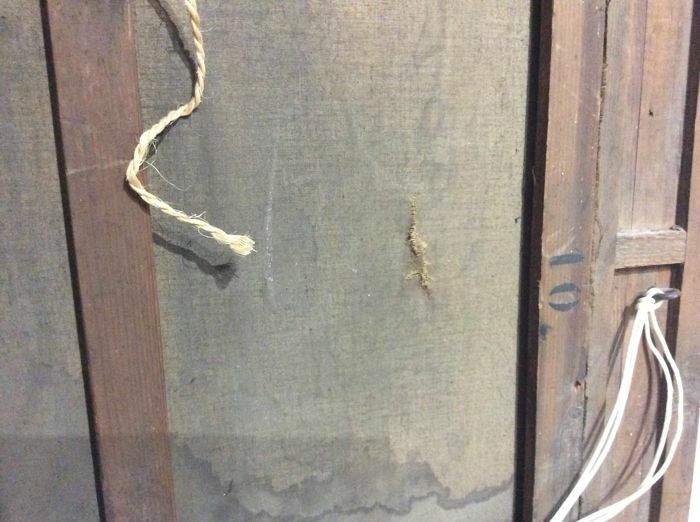 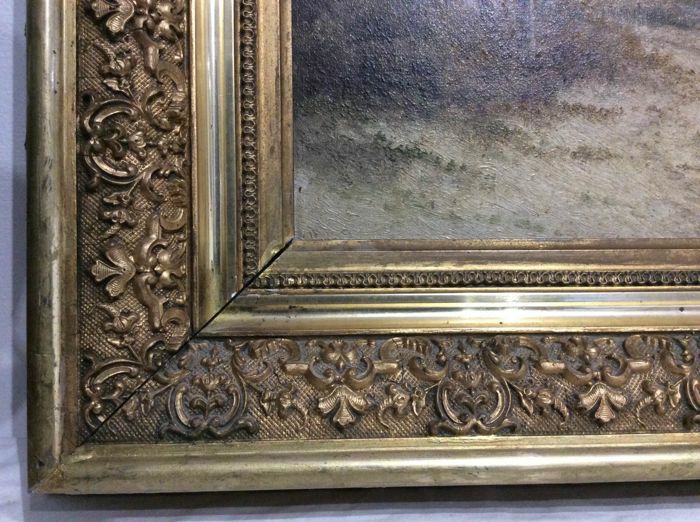 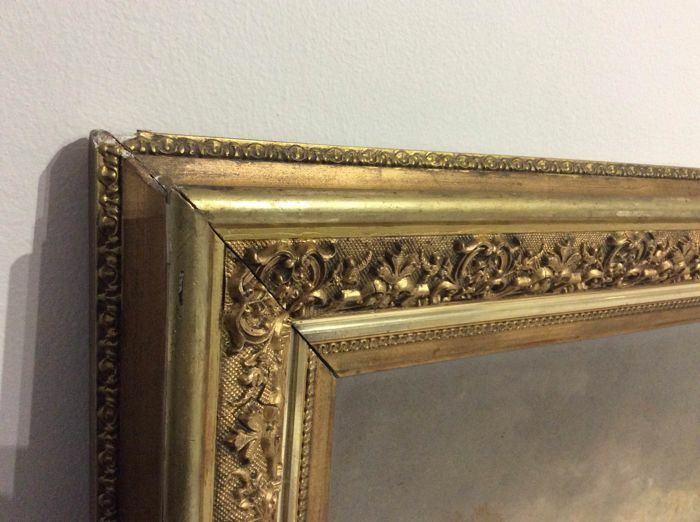 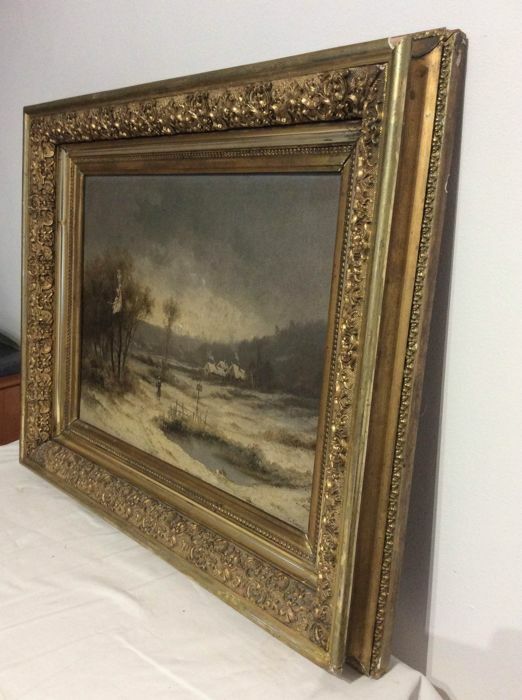 Wooden frame with gilt on plaster.